ConceptDraw DIAGRAM is a software for making infographics. Extended with the Winter Sports solution it allows users produce illustrated sport infographics using design elements contained in solution's libraries. and other sports symbols you may need to illustrate ny kind of sport infographics. 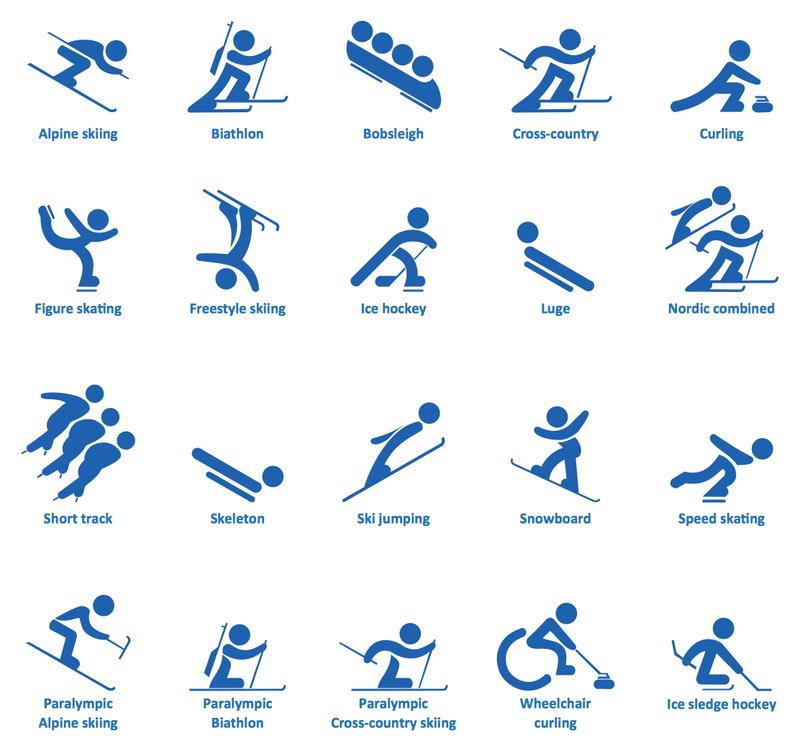 The Winter Sports helps you to quickly create your own original winter sports illustrations and infographics, presentation slides, website, and blog pages using ConceptDraw DIAGRAM diagramming and vector drawing software. Visualizing sports statistics becomes as easy as never before with ConceptDraw DIAGRAM v12 software extended with the Winter Sports solution. This solution delivers a complete set of winter sports illustrations, samples and templates you may use to visualize any kind of sports statistics in minutes.